Ms. Humphrey is a graduate of Vassar College and received her J.D. from the University of Florida Law School. 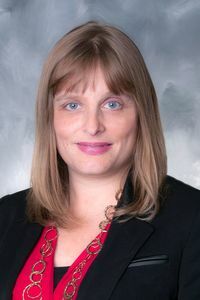 She is Special Counsel with the firm and practicing primarily in connection with corporate law (for profit and not-for-profit), healthcare, employment and labor issues and commercial transactions. Ms. Humphrey frequently lectures on current issues in human resource law, including updating employment manuals. Her practice also includes intellectual property law, including copyright and trademark registration and licensing agreements. She has extensive experience in medical services delivery law and healthcare regulations. She is admitted to practice in New York and is a member of the New York State Bar Association and Orange County Bar Association. Ms. Humphrey is currently serving as a member of the Board of Directors of Vassar Brothers Medical Center.